In general, a 20' container may contain 28 through 30 cubic metres (CBM) of load whereas a 40' one contains 64 through 75 CBM of goods. Actual capacity of a container depends not only on its inner dimensions but also on the method of packing as well as on the knowledge and experience of the loading operator. Goods weight is another item to be considered by loading operators. They must remember that many countries (including Poland) have put weight restrictions on the loads transported on public roads. In Poland, such weight limits impose the maximum 22-ton and 19.5-ton loads in 20' and 40' containers, respectively. Globally, goods are transported on pallets. There are two popular types of pallets: europallets sized 120 cm x 80 cm as well as standard (or 'industrial') pallets sized 100 cm x 120 cm. Specific attention should be paid to the goods which must not protrude outside the pallet outline whereas the entire structure must be rigid enough to resist any displacement during the transport. 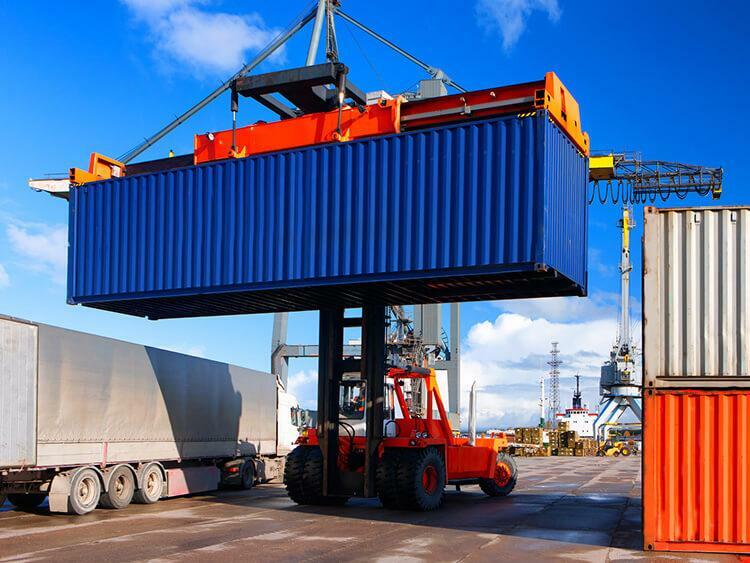 Container 20' may be loaded with up to 11 europallets or with up to 10 standard pallets on a single plane whereas container 40' may contain up to 24 europallets or up to 21 standard pallets on a single plane.